Experience a new way to go "Handsfree"
ARLiberator gives you full control of your Android phone on an AppRadio2 and AppRadio3 (coming soon). Use any app on your AppRadio. Multitouch and button presses are taken in from bluetooth and piped into low level Linux drivers. Because of this, root access is required. You can set up ARLiberator to launch your favorite music player. Then, use your steering wheel controls to change songs. You can even use the GPS from the AppRadio instead of your phone's GPS. ARLiberator integrates with Screen Standby to completely turn off your screen while keeping HDMI output. This helps to conserve battery or help the phone charge faster. You can stream audio from anywhere on the internet. 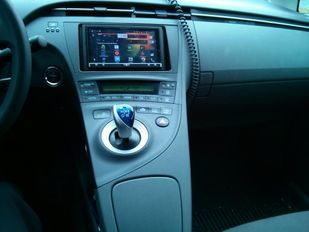 Make and take phone calls right on your car stereo. Find the cheapest gas prices while rocking out to Pandora. There are no restrictions. Just use the app carefully and lawfully. You are responsible for your actions while using this app.